The Autumn Fair gives us the perfect opportunity to showcase our premium products and exclusive lines to potential clients and the retail sector as a whole. 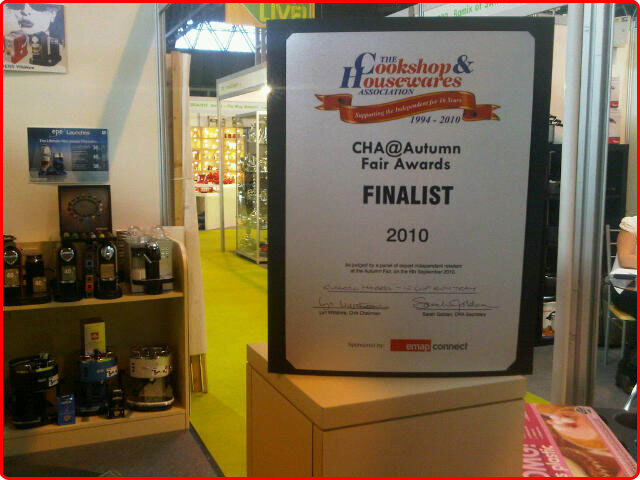 Remaining consistent in our success we have yet again won another award, being awarded the CHA @ Autumn Fair Finalist 2010. 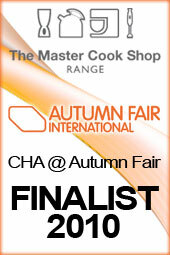 Septembers Master Cook Shop Event provides our customers with unmatched buying opportunities on our extensive Breakfast, Food Prep, Table Top, Hostess, Dessert, Coffee, Cookware & Linen care ranges and also gives account holders valuable incentives such as exclusive lock in prices to prepare for the Christmas rush with committed quantity stock orders.